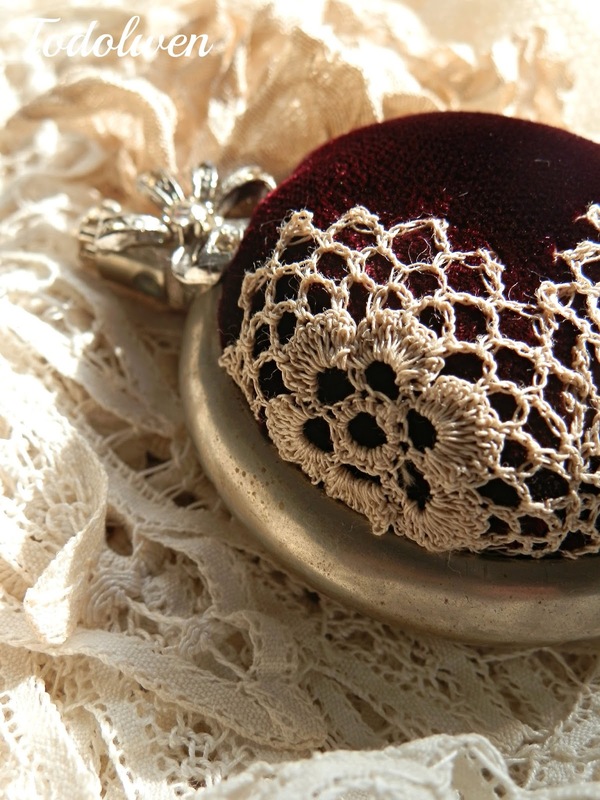 Todolwen: A New Pocket Watch Pincushion ..
since I enjoyed making my last pincushions using vintage pocket watch casings so much I decided to create another one. 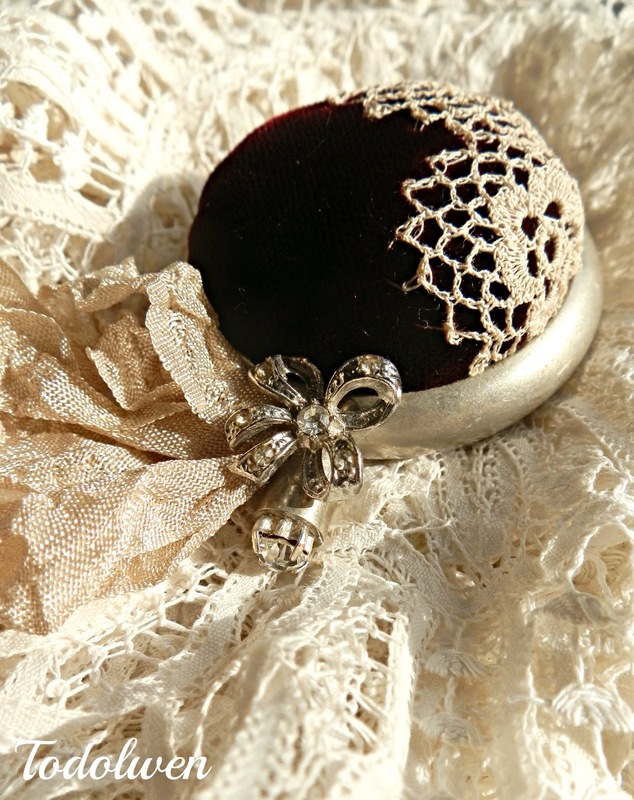 I wanted this one to look a little Victorian and elegant and I hope I have achieved it. I had some lovely vintage dark red velvet in my fabric drawer that was beyond perfect for the look I was going for. 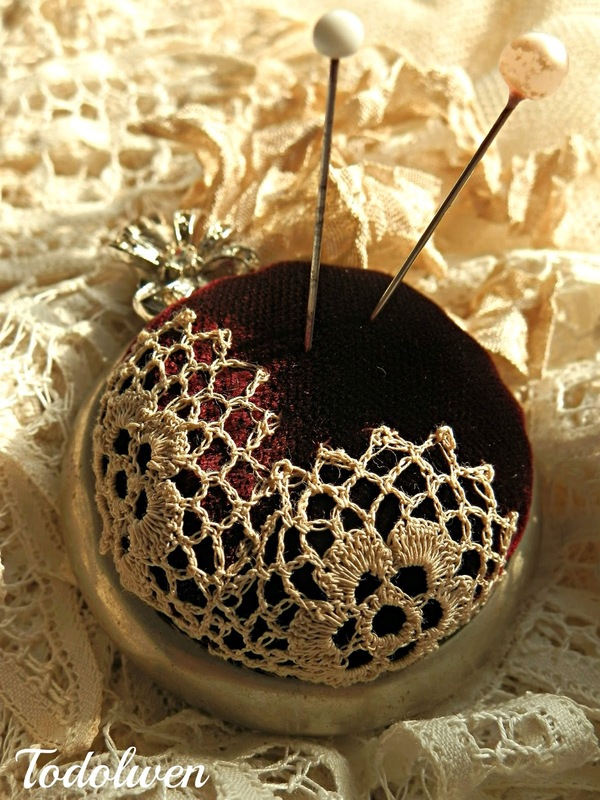 The leftover half from the old doily that I used in my lamp creation was also exactly what I needed. The rest of this creation just came together as I was working on it. 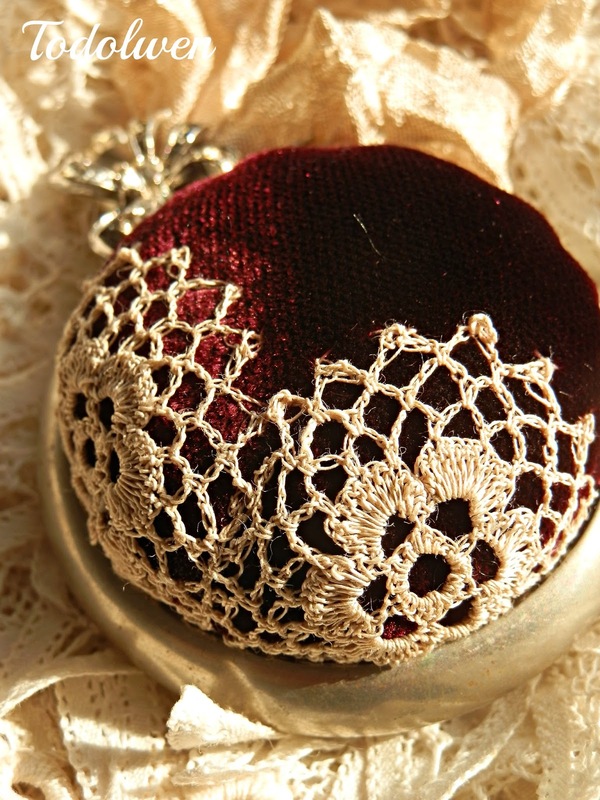 I hope that you can at least a small sort of idea of the beautiful deep red color of the velvet. 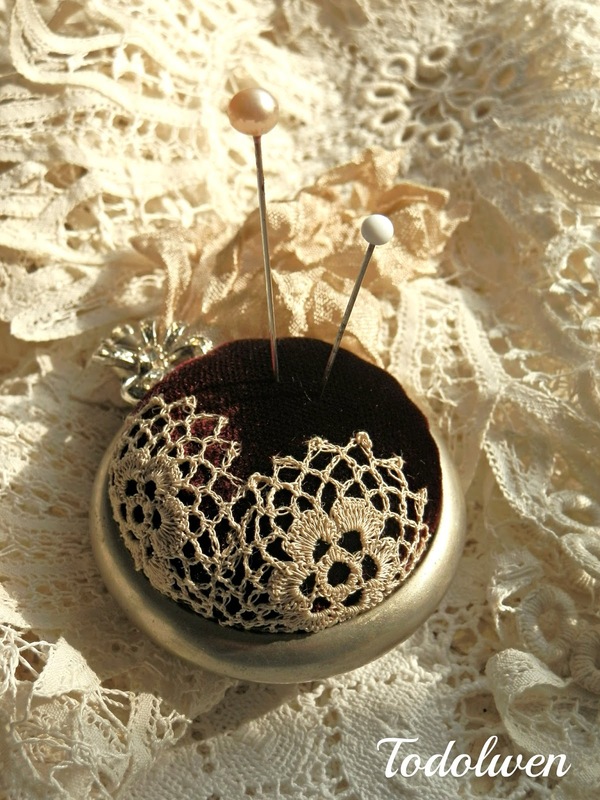 I am so happy with the way my latest pincushion has turned out, just how I had seen it in my mind. Unfortunately it seems that I can't capture the beautiful deep red velvet no matter how much I try which is such a shame, but believe me it is so lovely and rich. I am hoping to share a few more new creations very soon with all you lovely bloggers so don't forget to stop by from time to time here at Todolwen and visit me again. 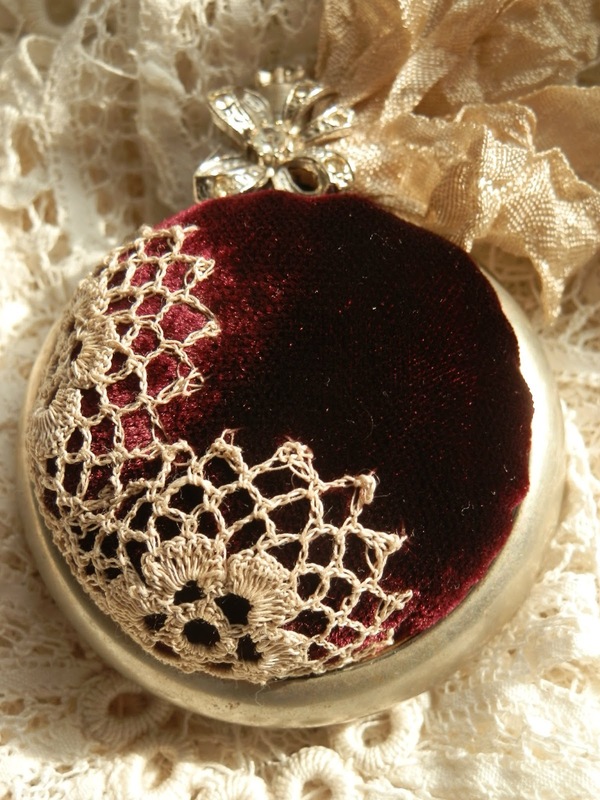 Absolutely beautiful... and I can tell it's the perfect velvet for what you had in mind. I love this! I wish I could afford to buy one. Your work is so lovely and unique. The only the person who can top it is you, and you do it frequently. Have a wonderful day! So beautiful...and the deep velvet color is perfect. Soooo elegant and Victorian Karen. You have captured the deep red richness of the velvet perfectly! Oh, but I think the richness of the velvety red shows up quite nicely on your pictures. I love it. Your work is flawless! 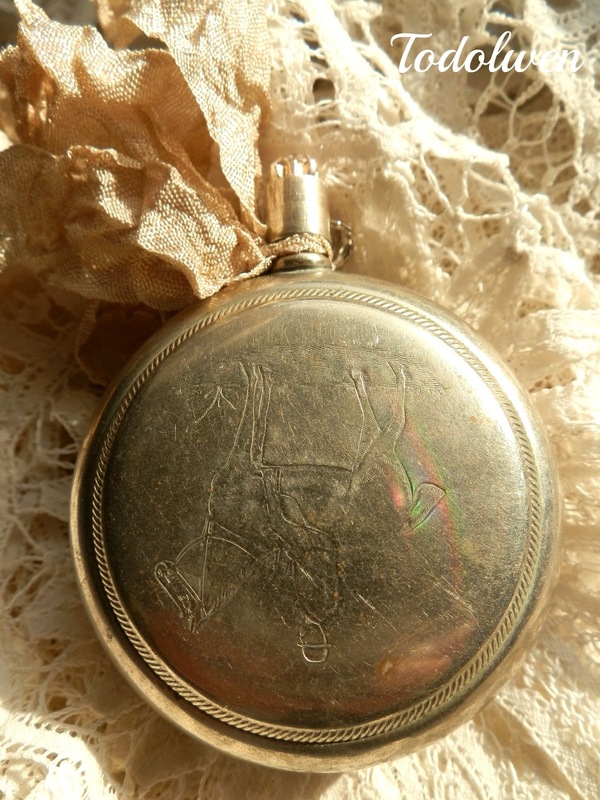 So pretty, and a great use for a pocket watch. 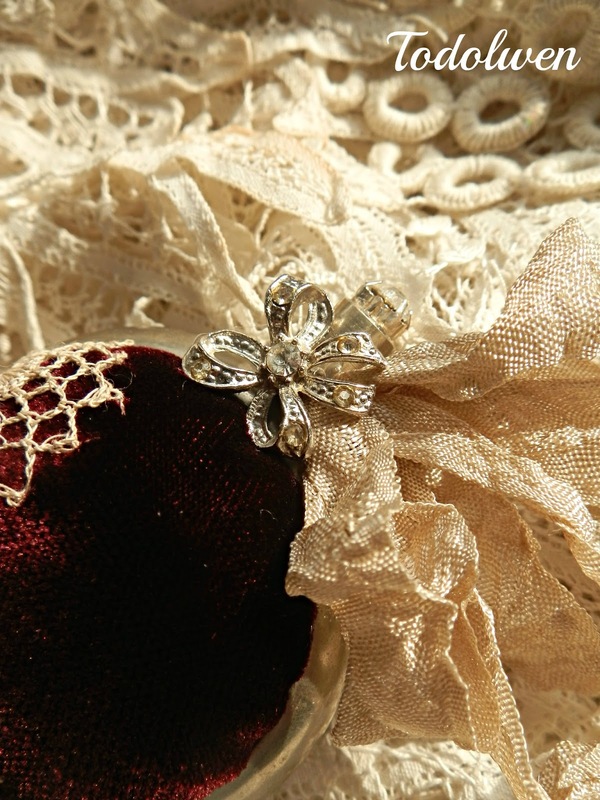 Oh ,it is gorgeous Karen, so beautiful with that velvet , the old lace and the brooch giving the lovely add of bling. 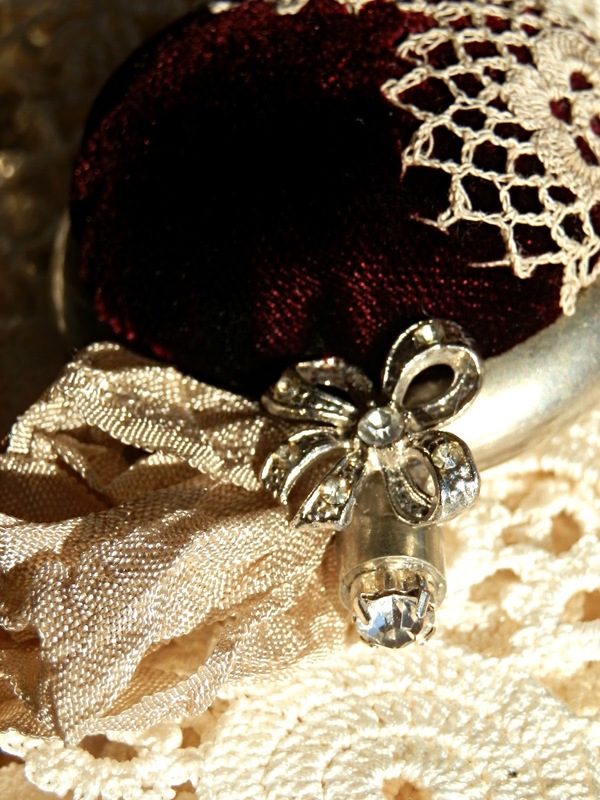 A little "jewel" on someones table ! !